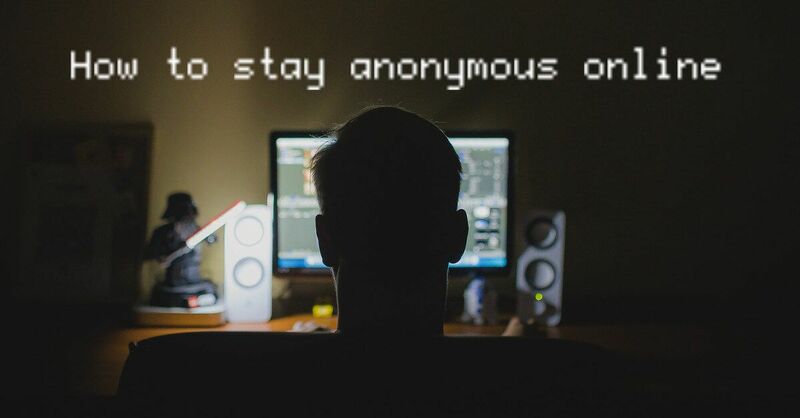 Staying anonymous is not as simple as using the incognito window on your browser. 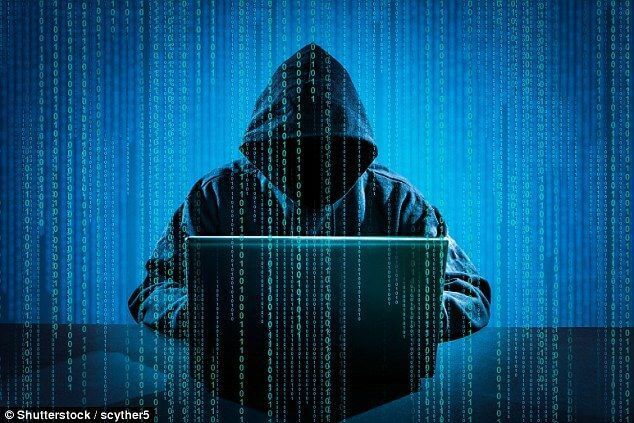 Securing and protecting your online privacy and anonymity has become the most important challenge of our times since most of us spend all our waking ours in front of a computer working. When we get home, we get in front of another screen that is a bit wider (or might be a bit smaller if you like to consume content on your smartphone or tablet) in your TV lounge. Every equipment from our refrigerator to our doorbell is now being connected to the internet. While all of that is really great in terms of progress and quality of life, it doesn’t change the fact that there are people out in the online world who just want to have a piece of your private information. That could sensitive stuff like your credit card number or the master password to your favorite password manager. 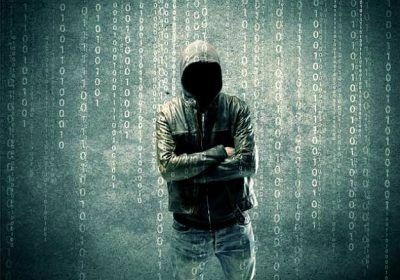 Hackers along with other cyber criminals will go to great lengths in order to compromise your identity and privacy. In short, ensuring the safety of your information and your online traffic has become quite a difficult task in the modern world. The internet has become a place where most content is ad-driven. Huge surveillance systems run by governments and giant corporations work over time, by that we mean all the time, to spy on people who are considered to be suspects. There are who ecosystems that are present in the online world whose sole purpose it to spy on people and collect information regarding their activities, their likes, their friends, mostly their everything. Of course, that does not mean that the internet is not a safe place anymore. Most of the spying and tracking is done with good intention. Whether you agree with the good intention is and should be up to you. Governments want your data in order to verify if you’re not a national security threat. Media companies along with advertising ones want to know your whereabout and habit because they want to sell you stuff. Not necessarily bad stuff, just the stuff you might need or like, for yourself or for someone else. The intrusion and tracking methods are that advanced. They know almost everything about you if you have been spending a lot of time on the internet doing your stuff without any precautions. So how do you go about beating such a massive surveillance system, if indeed it is possible at all? Well, let’s put out the good news first (maybe there isn’t a bad news here at all. You’ll have to read the rest this entry to find out), which is that you can take simple steps which can help you guard your identify and protect your sensitive information from all sorts of law enforcement agencies, foreign government entities, and advertising companies. 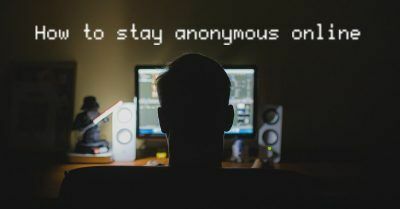 In short, it is not that difficult to stay totally anonymous online if you know what you’re doing and you follow the right guideline with proper composure. With that said, it is true that securing your anonymity and protecting your online data has never been more difficult. In fact, it is likely to get progressively more difficult as time passes. Hackers will work overtime if they have to, to get what they want. You need some form of protection. We’ve already established that one hundred percent security and anonymity is not possible. But close to hundred percent security and anonymity is certainly possible. Shortly, we’ll show you ways in which you can do everything you need to do stay anonymous using a single awesome tool. The name of this tool will sound daunting, but trust us it really isn’t. Just that we’re on the same page, know that complete or near complete anonymity has a lot of benefits. There are certain forms of freedoms that come only when you are unidentifiable and untraceable. To put it another way, if you’re accessing modern websites, you are more than likely being profiled, tracked, and analyzed for your behavior. Okay, enough with the formalities, let’s get to the actual work. In this guide, we’ll use just one, but powerful, tool such as Live OS to show you how you can use both of this super tool to guard your privacy and protect your online data. If you want to be adventurous and visit the dark places of the internet, such as the deep web and the dark web, then you will need a special kind of browser. There are browsers available in the market, for free, which can allow you to browse every nook and corner on the internet with ease but they are quite difficult to set up and then use. But these browsers can provide you with the necessary cover to escape advertisements that are targeted specifically to you and your interests. As mentioned before, some browsers can also protect your identity and guard your sensitive information even when you are out in the wild exploring the depths of the dark web. However, if you want a fail-safe solution then you will need another option that can almost guarantee you complete anonymity. This option is mostly known as the nuclear option. Meaning, the absolute best option to defeat your foes who want to track you and then sell your sensitive information to advertising companies. You already know about the Tor Browser right? It is true that there is hardly a soul on the face of the earth that can accurately track your movements when you are surfing the world wide web with the help of the Tor Browser. But the Tor Browser is just one application. As of this moment, you are probably running multiple applications in the background. That as you can quite well imagine, is not the ideal condition for a user who wants complete anonymity. You will have to look hard at identifying the processes and the application that might compromise your security and anonymity. Just think about it for a second. Right now you might have the Microsoft word processor running in the background. You might also be watching a video while you’re reading this super guide on how to gain anonymity in the online world, through the use of a video player. That is also a weak spot. Then there are those automatic update managers. All of these applications which run in the background send data to their master servers back at the headquarters with the help of your internet connection. In fact, there was a time when the rumor mill was filled with news that law enforcement agencies and authorities had actually used error reports from the Windows Operating System, unencrypted, to track down people they thought were up to no good. Windows 10, as you already know, is being called the most sophisticated piece of malware every developed in the history of man, or animal. Because Windows 10 has been literally flooded with tracking software and routines that are enabled in the operating system at launch by default. Of course, you can just go ahead now and disable each and every one of those settings that compromise your security and anonymity. You can even go one step further and uninstall all of the useful and useless applications that have been installed on your system by default. But before doing that, ask yourself this question. Is it really practical? Can I really work like this? Can I really watch something like this? Can I get anything productive done with an operating system that has no applications and no processes running in the background? And hence, we here at security gladiators recommend such users that they should use a live operating system. What Do You Mean By Live Operating System? Essentially, live operating systems are operating systems that can be installed on USB drives or even the old DVDs. You can make use of such live operating system by tweaking some of the settings that are present in your machine’s bootloader. In fact, you can launch a fully independent and complete operating system from a USB drive. Whether you use a live operating system on a laptop or a desktop is immaterial since most of these live operating systems are so light on resources that they can run on even the oldest of computers and laptops. The live OS we want you to focus on is called Tails. Tails is the official live operating system and belongs to the Tor Project. Yes, that is the same team that has brought you some of the most recognizable anonymity tools such as Tor Browser and others. When you access the internet through Tails OS, all of your internet traffic is passed through the Tor network. Do keep in mind that we said all internet traffic. Usually, when you use the Tor Browser on your Windows operating system, it is only the web browsing traffic that goes through the encrypted Tor network. The rest of the stuff goes online the normal way and hence is exposed to government agencies along with advertising companies. The Tails OS is so secure that it basically removes your trace from the face of the internet. It’s like your computer doesn’t even exist as far as spying agencies are concerned. What’s more, Tail OS also protects your instant messages along with your emails, and other files. It encrypts everything and hence provides you with the most complete encryption system that exists anywhere in the world. Some people like to call Tails OS as a foolproof way to hide from whoever it is you want to hide from. 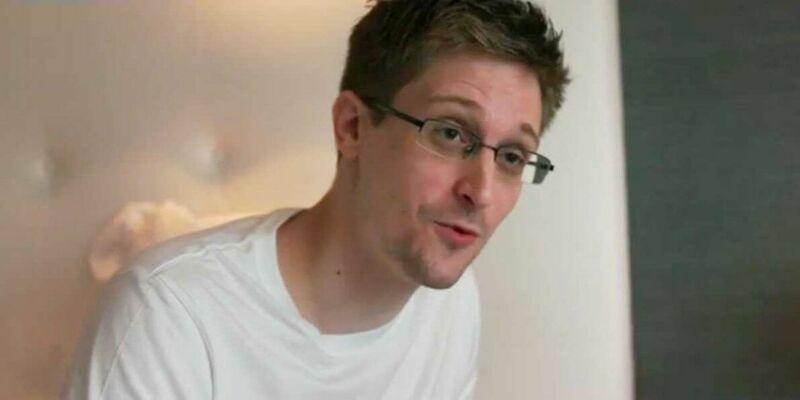 The design of the live operating system is fairly simple and it has been built from the ground up keeping in mind the average online user and not just the ones like Edward Snowden. But there are always those people who don’t like to go with the crowd. They want something different. They don’t want to use Chrome, they want something else like Mozilla Firefox. Well, in the case of Tails OS, your “other” option is Whonix. The official website for Whonix claims that it is the most secure way to surf the web but of course, there is always another option in the form of Tails OS as we have discussed before. However, do keep in mind that unlike Tails OS, WHonix isn’t an independent piece of software (or live operating system). It actually makes use of a virtual machine to run itself on top of your existing operating system. That should not lead you to believe that it is anything less than the near-perfect Tails OS as it matches Tails OS benefit for benefit in almost all categories. Whonix also uses the traditional Tor Network to encrypt all user internet traffic. As an additional benefit, Whonix has been designed by its developers to protect users from IP address leaks. IP address leaks, as you might already know, are used by hackers to track down specific users for their nefarious objectives. So what’s the downside then? Well, the only real downside to using Whonix instead of Tails OS is that Whonix requires a lot of computing power, relatively speaking, because it runs through a virtual machine. Moreover, the process of setting up Whonix on your machine is a rather complicated one that is best suited to experienced users only. But don’t feel bad. There are a lot of great alternatives in the market today. All these alternatives are respectable in their own right. In fact, they form quite a competition for the top duo of Tails OS and Whonix. You’ll have to do a bit more research to figure out which one do you want to go with. We’ll simply suggest that you need to study each of these alternative’s pros and cons and then try to match them with your own requirements. There is no best option. It all depends on your needs and your technical capabilities along with your overall objective. In short, don’t rush your decision. If you don’t want to make a decision on your own then we’ll recommend that you go straight for Tails OS. If you are picky about stuff in general and want the live operating system to match all of your requirements then you’ll need to do a bit more digging by studying the aforementioned options. IVPN Review: The Only Review You Need To Read Right Now?